Hand crafted Clap or music sticks are used during Aboriginal ceremonies. 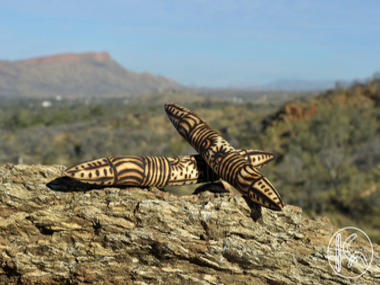 They are made from Mulga wood and are burned using a hot wire to create patterns such as concentric circles which represent camp sites, curved lines which represent rain or underground water, or straight lines which represent routes to camp sites or places of significance, or U shapes which represent people. Aboriginal artists apply this basic set of symbols which can have multiple meanings depending on the context to tell stories of the dreamtime.